A sneaky way to performance on an L-plate? BMW has just revealed the production version of its ‘C evolution’ (yes, with a small ‘e’) electric scooter at the Frankfurt car show. 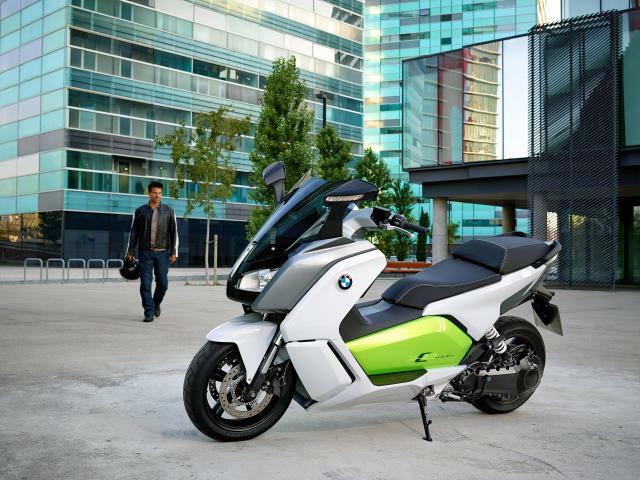 You can read our review of the BMW C evolution electric scooter protoype here. Looking just like last year’s concept version, the C evolution is part of a company-wide thrust into electric vehicles, and a couple of things are instantly year. First, by launching at Frankfurt – one of the big car shows, but with little bike content – it’s obvious that BMW is aiming at car drivers rather than established riders. The second is tucked away in the specs, and shows that the firm is being particularly clever about the bike’s market positioning. It’s ‘rated’ power – the figure the EU uses to decide which licence class it falls into – is 11kW (15bhp). That’s the limit for “A1” 125cc bikes that you can ride on an L-plate having done nothing more than a CBT course. But wait, there’s another figure in there. The bike’s ‘peak’ power is 35kW (47bhp). That’s at the limit for the A2 licence class, a whole league above the A1 class that the BMW will slot into. Looking at the power graph, it’s easy to see where the higher figure comes from, but the ‘rated’ 11kW figure is what the bike turned in under specific EU-set test conditions and is sustainable continuously. That means it’s the figure that licence authorities look at. And then there’s torque. At 53lbft, the BMW has as much as a Triumph Daytona 675! In terms of performance, the raw figures for the bike are 0-50km/h (31mph) in 2.7s and 0-100km/h (62mph) in 6.2s. Top speed is artificially restricted to 75mph. 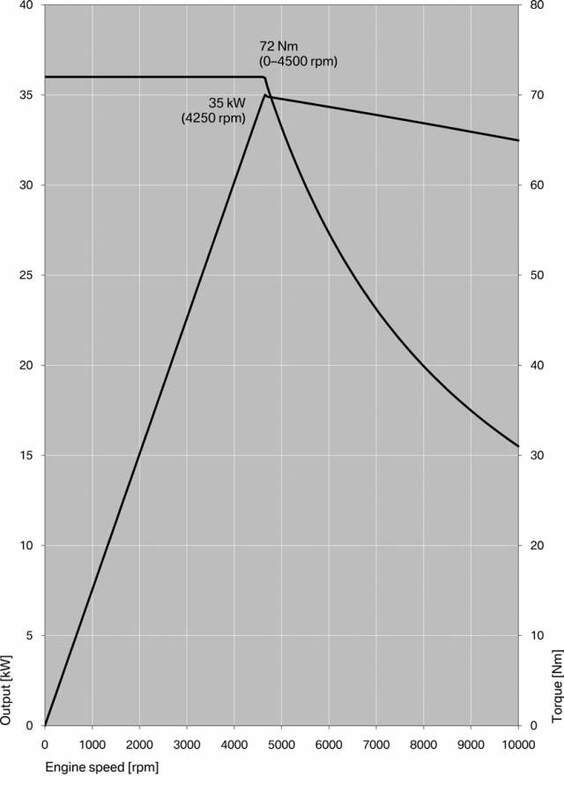 If those acceleration figures seem slow, it’s probably down to the hefty 265kg weight; despite a relatively small, 8kWh power pack, it’s still a heavy way to carry energy around. Range is another down-side, with BMW claiming a 100km (62 mile) maximum in normal conditions. Charging takes four hours from a normal 220V, 12A socket, or 3 hours from a 220V/16A supply. Price? Not revealed yet. But high tech vehicles with a BMW badge don’t tend to come cheap.